Okay… I’ve taken the time to read a website about understanding blood pressure, a manual from a BP machine, and heard an explanation from a licensed physician… And folks, I gotta tell ya… I still don’t get it. I’ve never understood that crap. Back when I was an honor roll student at Northwest Guilford Junior High (I don’t like “middle school”), Mrs. Daniels taught the rest of the 8th grade college prep Biology class how to take and read blood pressure. She had the diagrams on the “green” board along with an explanation with added diagrams in our text books. I tried to understand, but never got the concept. When he said “a little high”… That I understood and panic quickly set in to ratchet up my BP a few more degrees, points, pounds, or whatever. Back to NWJH: After Mrs. Daniels’ mysterious and detailed instructions about taking blood pressure readings, she had the students go up before the whole class to give each other readings two at a time. IN FRONT OF THE WHOLE CLASS! Everyone was acing what I didn’t understand at all. My turn finally came up and I had to check a cute girl’s BP. I pumped up the sleeve per Mrs. Daniels instructions and was told to read the dial (there were no digital readers then) while she checked the pulse with a stethoscope. She told me what the cute girl’s pulse was and from there I could use a mathematical formula to come up with her BP. Since I was as clueless as a toddler in a jet’s cockpit, I used the only tool I had to bail me out of an embarrassing moment… A smartass answer meant for laughter. Mrs. Daniels wasn’t impressed or amused like my classmates with my answer. She had me take another stab at it and I just made something up… I said something like 122 over 87 and then I was told to see her after class. She actually took the time to re-explain it all to me several times during that week, but I never understood. And when BP questions showed up on the quiz and further tests… That crap torpedoed my boat every time. So you see why I’m having trouble with what seems to be very, very unsettling news to me, don’t you? I’m like a 4 year old that’s in bed, anxious, and unnerved with every shadow and sound made by the BP Boogey Man. It may not be a “monster” at all, but since I don’t understand it… My BP readings are now like a hungry T. Rex in my underpants. And I don’t like it. Why couldn’t they let someone like Fahrenheit or Celsius come up with a number chart that we can all understand? 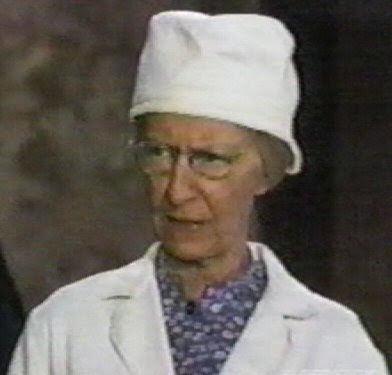 Dr. Granny on The Beverly Hillbillies used a jerry-rigged thermometer and bicycle pump to get readings on Uncle Jed, Ellie Mae, and Jethro. That’s easy to understand. You can’t use Kelvin’s scale… I didn’t understand that crazy-assed mofo either. 100 degrees Fahrenheit means hot or high. 0 degrees Celsius means cold or low. 170 over 88 has me blinking with a confused look on my face. I just made that up and I don’t know if those numbers are good or bad. Oh well… Check out this startling news. Would you mind posting a scanned image of your NWJH report card? I don't know if my parents kept them or not. I wouldn't know where to start looking.